A new documentary, on BBC4. Followed by a collection of Kate's BBC TV appearances. Slightly surprised Alison isn't appearing too, as she has often cited KB as a major influence. Her tour* starts on Tuesday... a week today :-) Quite a few of us on here are going... but none to the first show AFAIK. * can you do a tour of one venue? Really looking forward to the documentary and the Hammersmith gig - 4 weeks on Friday. You missed my tone per the use of italics, HJ. I'm still languishing in despair from not being able to attend this run. Bugger I nodded off (knackered) part way through this. Think I saw a good proportion of it tho. I think it was a tiny budget thingy? I saw it online at 3:00 am this morning when I couldn't sleep. So great to see a young artist like St. Vincent honor Kate the way she did. Annie really knows Kate's music well. That's extremely rare for her generation. So great to see Tori discuss Kate's impact on her, too. Loved it! Without Kate there'd be no Tori or St. Vincent, really. 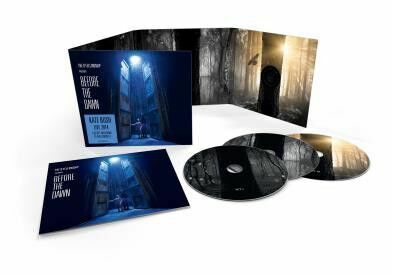 I couldn't find the Before the Dawn thread; so, I thought I'd post here. A chat with John Carder Bush about his book 'Cathy' is in the Sunday Times magazine today. Go buy it! I did. I've scanned the text for those who can't get hold of it. JCB is Kate's brother, BTW. The book is (I think?) a sort of re-release of a 1986 book he did? The book has lots of pics from Kate's childhood, and 7 of them are in the ST mag (5 of which I'd not seen before). The Ninth Wave section of the show has popped up on YouTube! My inner hound of love thanks you. I'd download a copy quickly as it won't be up for long. Someone else posted this vid on youtube a week ago and its now been taken down. This is a good website to use. Just enjoyed watching that over a cup of coffee, thanks :) It must have been amazing to have been there. My birthday ! Just saying ! That's top of my Crimbo list too! In fact, that's the only thing on my Crimbo list lol.